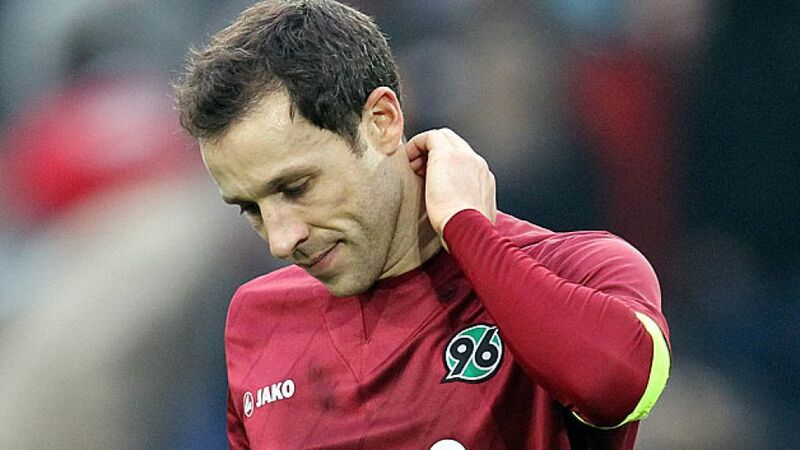 Hanover - After 302 Bundesliga appearances, all for Hannover 96, Steven Cherundolo brought an end to an outstanding career on Wednesday. The 35-year-old said "many reasons, mainly my health" had convinced him to call it a day and focus on a new vocation, as coach of Hannover's under-23 team. "Every career comes to an end, but when that day arrives, it's always sad," said Cherundolo, the Reds' record appearance holder. "It had to happen, and it's happened. I've had knee problems for a long time. When you're over 30 in this business, you're always thinking of the future and when the body's not playing ball, then you're forced to think. There was no reason why I should keep putting it off." A long-standing knee problem hastened Cherundolo's decision, which also puts paid to his hopes of appearing at a fourth FIFA World Cup with the United States of America this summer. "The lads can sweat in Brazil, I'll do my own thing," added a very composed Cherundolo at a press conference in the Lower Saxony capital. "I always take the positives. I've had a great long career and the glass is half full." His glass may be half full, but the Bundesliga glass is a little emptier without the talismanic figure. "He's practically an emblem of Hannover," lauded club president Martin Kind. "He's a great guy, a great footballer, a great professional and it was a great time being with him these years." Their paths first crossed almost 15 years ago. "He was practically my first signing," recalled Kind. "We had just been promoted to Bundesliga 2 and here came this lad from the USA, not knowing the country, the language and the people. He had to find his feet here and I've got to say I like the Americans and the way they rise to challenges, and that's what Steven did here. It's quite extraordinary that one player spends so long with just one club, and always identifies with them." Extraordinary, and rare, it may be, but totally natural for Cherundolo, whose blood runs the very same shade as Hannover's colours. "I was lucky I found the right club for me straight away," Cherundolo said. "I never saw any reason to leave this club. They are still growing and I want to remain a part of that." And so it was he led them as captain from 2010 after being part of the Reds' longest unbroken spell in the top flight – since 2002 - enjoying back-to-back campaigns in the UEFA Europa League. Captaining the side on 95 occasions, Cherundolo leaves behind a legacy which will be hard to follow. When he was fit, nobody was able to take his right full-back role away from him, for club or country. Unfortunately, his body stopped "playing ball" after a knee operation last August. Seven months later, he realised the time had come to call it a day, but not without a particularly poignant moment in his last training session. "I nutmegged Szabolcs Huszti – that was my last touch as a professional footballer," he said, saluting the football field at the end of an inimitable and admirable career as Hannover 96's symbol and emblem.